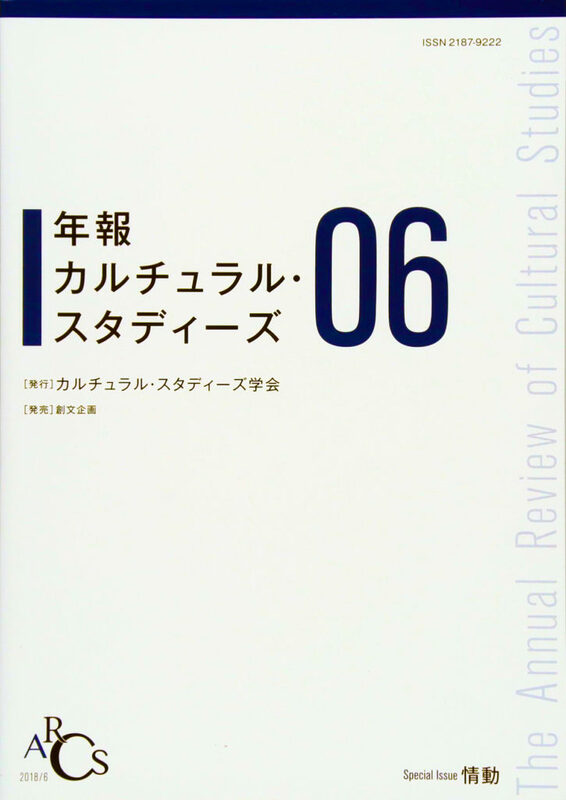 We are pleased to be able to deliver the third issue of Annual Review of Cultural Studies at the annual conference of Cultural Typhoon. It includes, in addition to the special feature of <Capital>, reviewed contributions from young members and remarkably rich contents of book and film reviews. We would like to thank all ACT members who have submitted manuscripts for this issue and kindly and professionally reviewed them. We have already started taking the submission of papers for the fifth issue. We very much look forward to having many manuscripts from the members, young researchers and graduate students in particular, so please be encouraged. Please see our website for more details（http://cultural-typhoon.com/act/jp/contribution/）. Once again, many thanks for your active participation and support for ACT. We sincerely ask for your continuous cooperation!